Use available wall space to organize important papers. 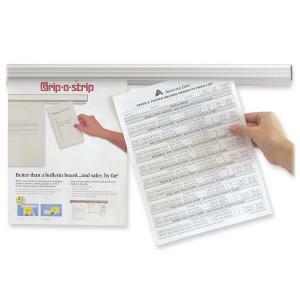 Display holds paper, posters and other media up to 1/8" thick with a patented roller system. Mounts with double-sided tape or mounting brackets.